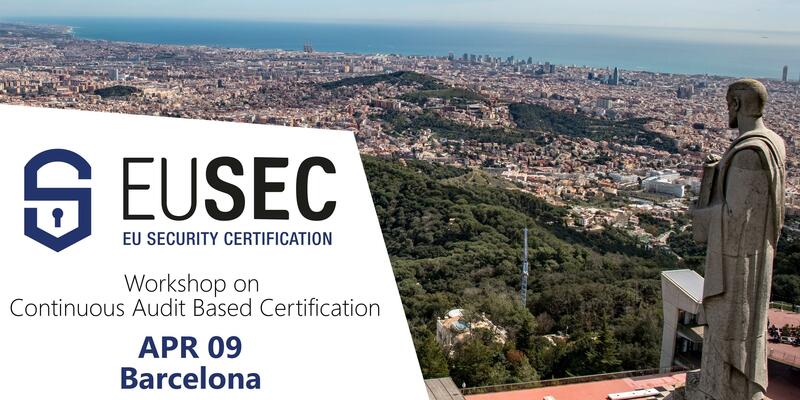 Following the success of our first awareness workshop in Brussels, EU-SEC has planned another workshop in Barcelona on 9 April 2019. This workshop revolves around the project’s proposal for adopting Continuous Auditing based Certification scheme for Cloud Services. Concerns about security, and privacy and regulatory requirements are known to hinder cloud adoption. Traditional point-in-time auditing doesn't completely allay fears, due, amongst other things, to lapse of time between audits and lack of automation. The workshop is already SOLD OUT, but if you would like to get in touch or sign up for project updates we will keep you informed of project activities. A series of workshops and training sessions has been planned for 2019 so there will be more chances to learn about Continuous Auditing Certification.